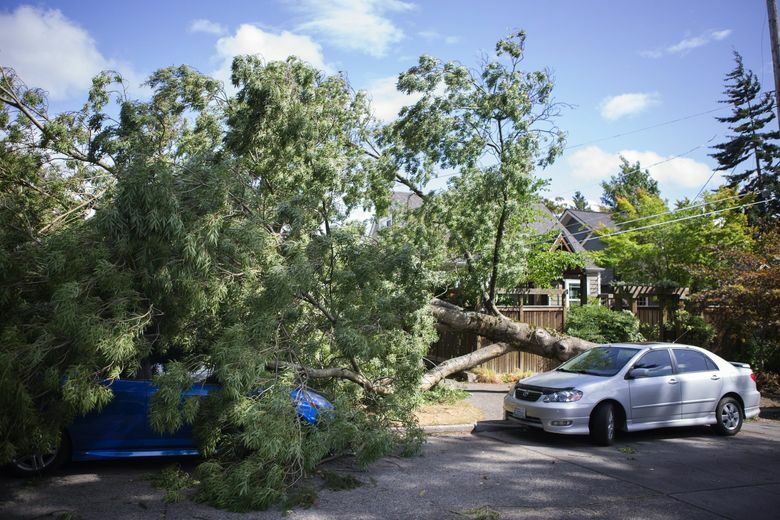 Two people were killed by falling branches, and more than 463,000 were left without power as high winds swept through the Puget Sound region. 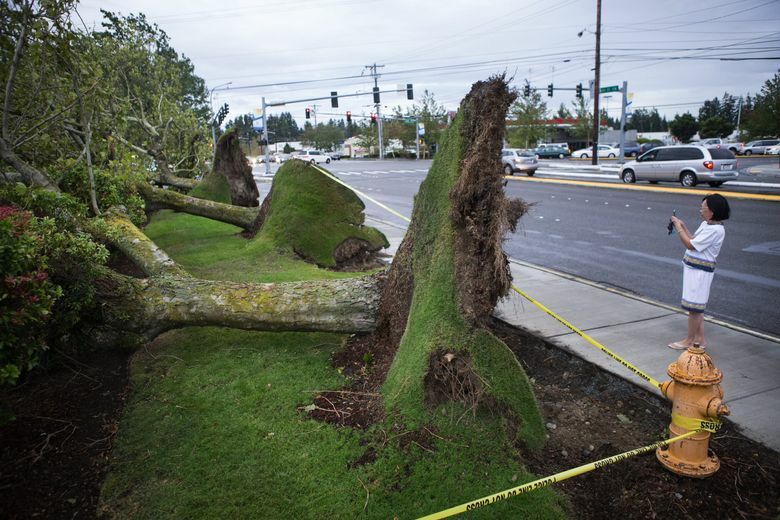 Authorities have identified the two people killed by during Saturday’s windstorm. 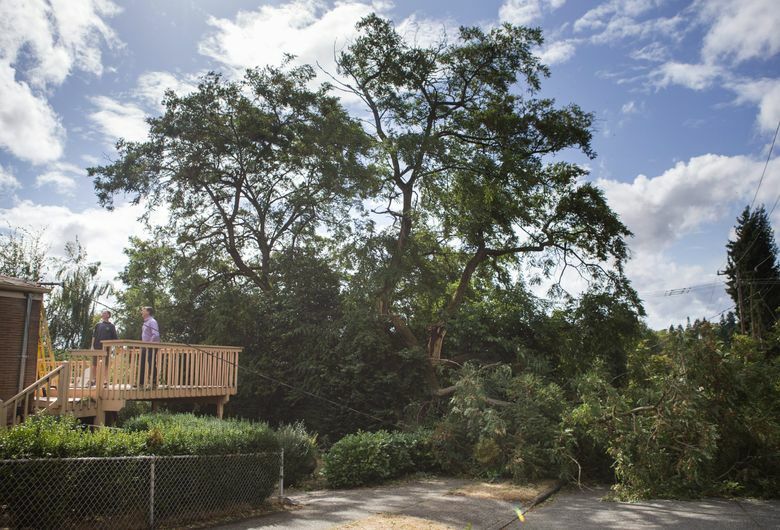 Samara Iereneo, 10, of Burien, was killed while playing at a friend’s home when she was hit by a falling branch, according to the King County Medical Examiner’s Office and law enforcement authorities. 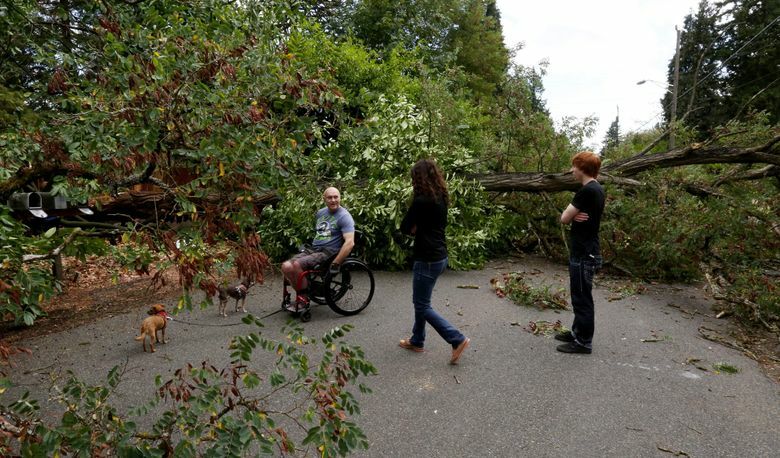 A 36-year-old Gig Harbor man who was killed Saturday morning when a tree fell on his car was identified by Pierce County authorities as James Fay, an assistant general manager at Chambers Bay golf course. Fay’s 3-year-old daughter was also in the car, but was not hurt, officials said. Federal Way police Cmdr. Stan McCall said the 10-year-old Burien-area girl had been staying at a friend’s home in the 2300 block of Southwest 352nd Street. She was playing with other children in a grassy area behind the apartment building when she was hit by a tree branch. “People saw the accident and rushed to help,” McCall said. “Lifesaving efforts were being administered when our first officer arrived,” but the girl was pronounced dead at the scene. South King Fire & Rescue Assistant Chief Ed Plumlee told The News Tribune of Tacoma that the girl had been a guest at a birthday party. Fay was director of sales and marketing at Chambers Bay, according to a course spokesman. Chambers Bay was the site of this year’s U.S. Open Golf Championship. 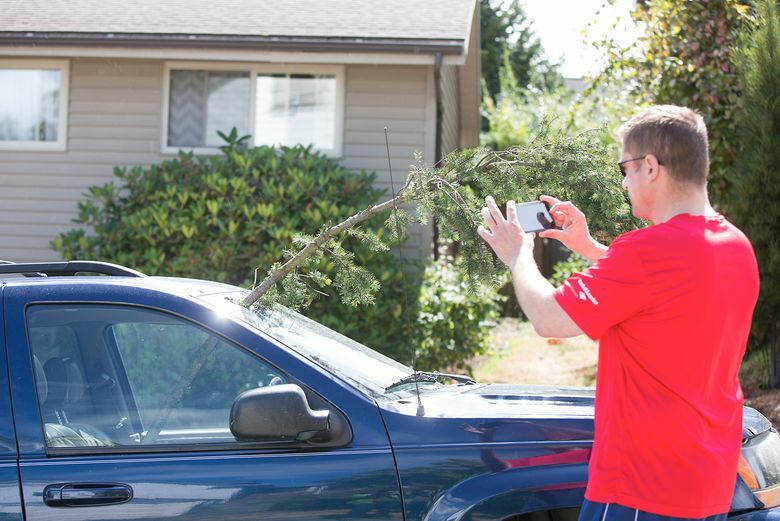 Fay was killed when a tree fell onto his Subaru station wagon while he was driving on Borgen Boulevard just before 10:45 a.m., according to Gig Harbor Police Chief Kelly Busey. Autopsies for both victims will be performed Monday. 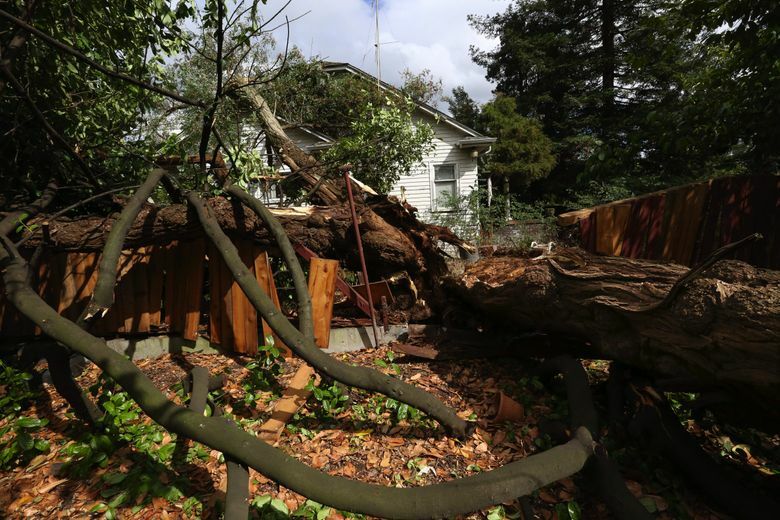 The windstorm Saturday took down trees and power lines, whipped debris into the streets, and left almost a half-million customers without power. 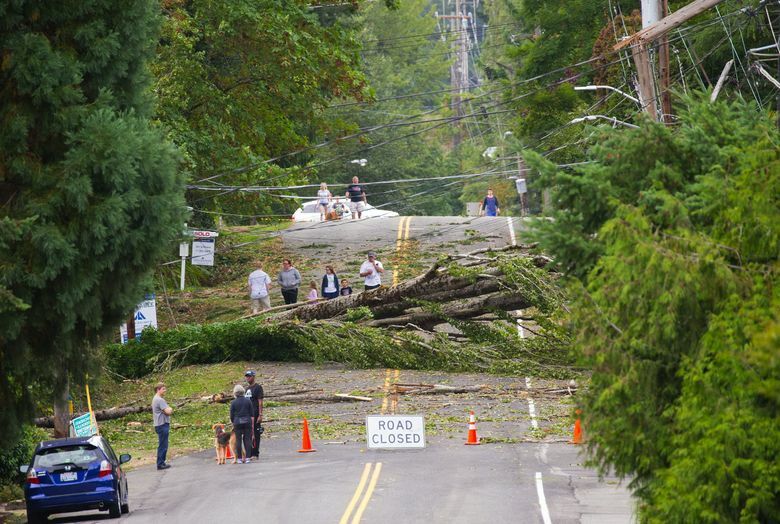 There was a scare at Joint Base Lewis-McChord on Saturday morning, when four people were injured by falling branches during a triathlon, The News Tribune reported. 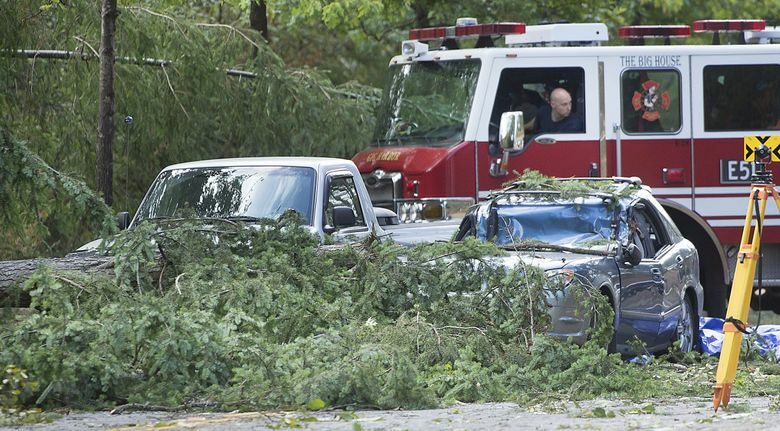 Around the region, as trees and wires fell on homes and cars and blocked side streets and interstates, 911 operators were overwhelmed, as were transportation crews. 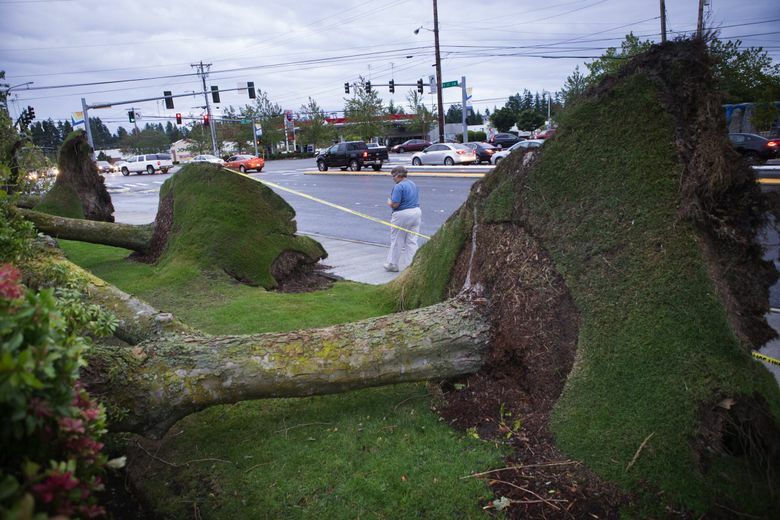 Among the big gusts recorded Saturday: 61 mph at Paine Field in Everett, 66 mph on Lopez Island, and 80 mph on Destruction Island, off the coast of Jefferson County on the Olympia Peninsula, according to Johnny Burg, meteorologist with the National Weather Service. 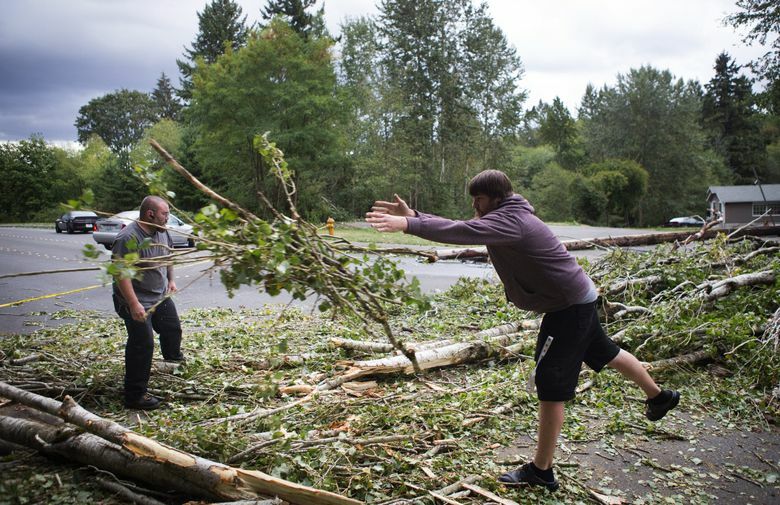 The windstorm and intermittent rain halted traffic on some major transportation routes, forcing closures of sections of Interstates 5 and 405, smaller roads throughout the region, a ferry route and the Hood Canal Bridge. Greg Phipps, spokesman for the Washington State Department of Transportation (WSDOT) said the closures were “pretty significant” and unusual for summer. 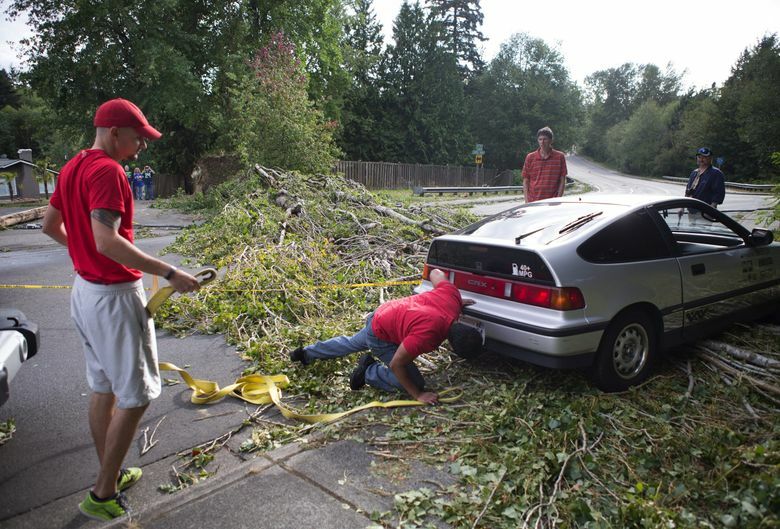 The closures rippled across the Seattle area and into Snohomish County. 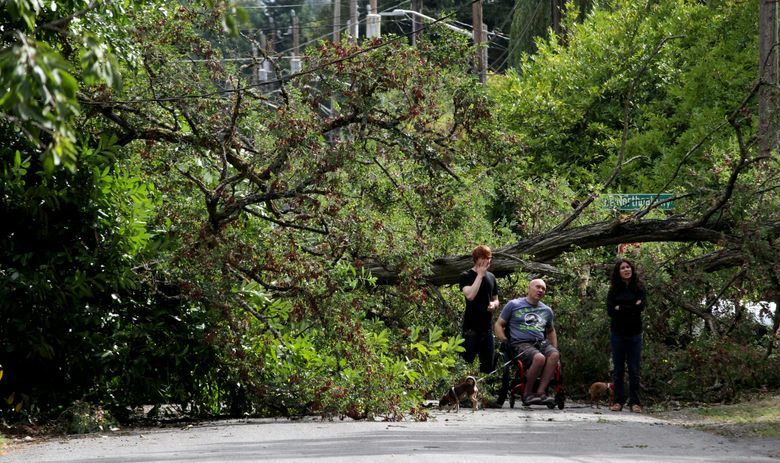 A fallen tree at one point blocked all lanes of northbound I-5 in Lynnwood, according to WSDOT. 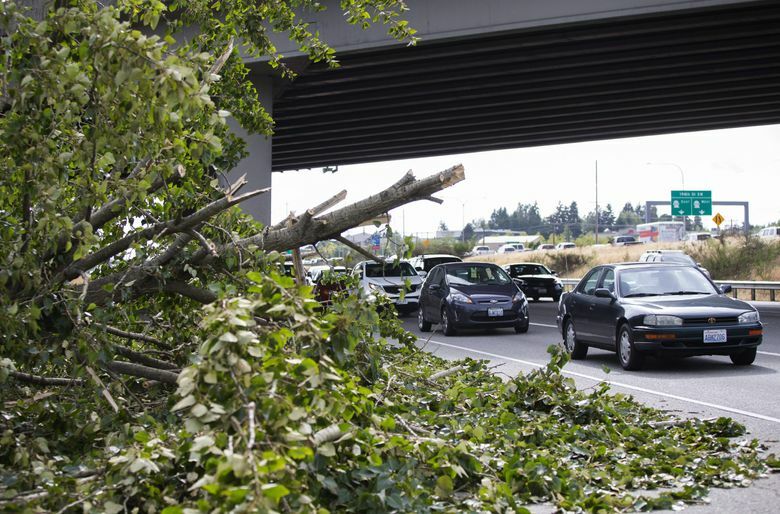 Traffic was backed up 3 to 5 miles at 2:15 p.m.
Downed trees blocked three lanes of southbound I-5 near Northeast 145th Street. 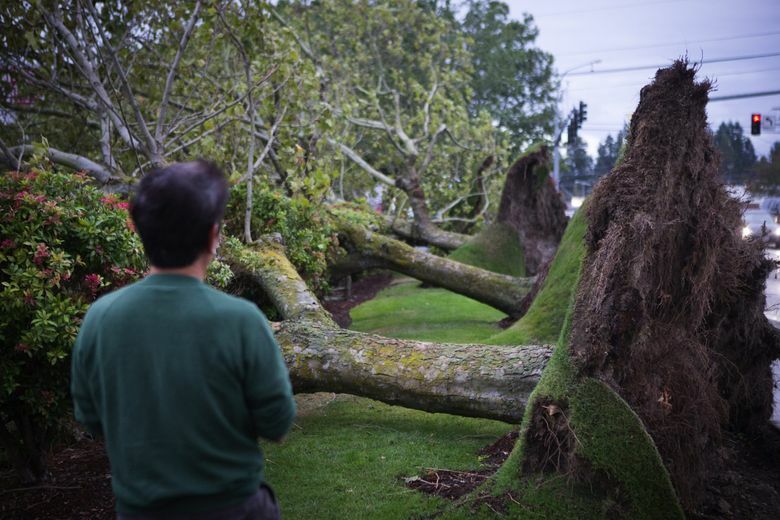 Eight fallen trees also blocked all lanes of southbound I-405, just south of Highway 527. Highway 522 in Lake Forest Park was closed because of power lines on the road, according to Phipps. 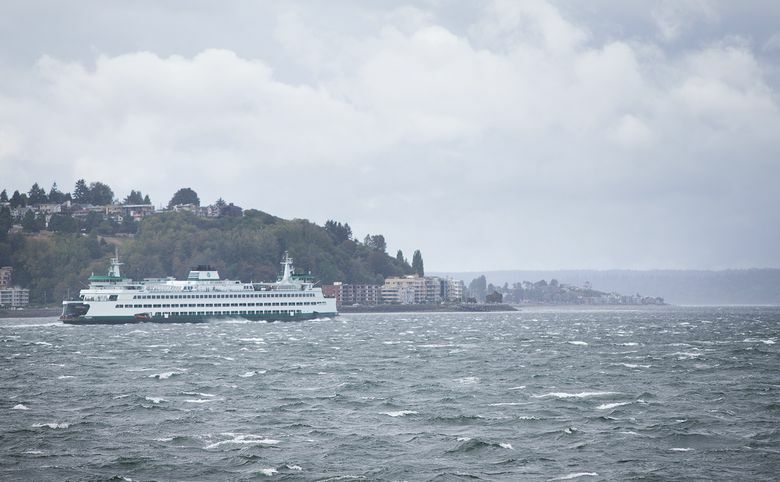 Ferry service between Port Townsend and Coupeville was suspended because of the windstorm, according to Washington State Ferries. The Coast Guard responded to more than 10 reports of people in the water and more than 20 reports of vessels unmanned, adrift or dragging anchor in waterways in Washington and Oregon, including Seattle, Tacoma and Bainbridge Island. All of the people were recovered without injury, according to the Coast Guard. Seattle police worked with city agencies to clear roads. Troopers investigated 47 weather-related collisions in King County between 5 a.m. and 6 p.m., according to the Washington State Patrol. 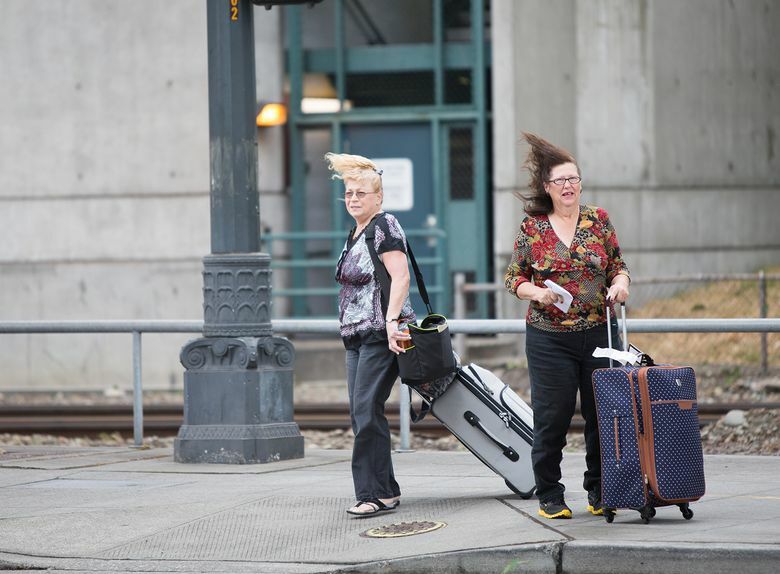 Transportation officials monitored the Highway 520 bridge, where gusts reached 35 to 40 mph Saturday afternoon, Phipps said. The normal threshold for closing the bridge would be winds of 50 mph sustained for 15 minutes, and so the bridge remained open, Phipps said. 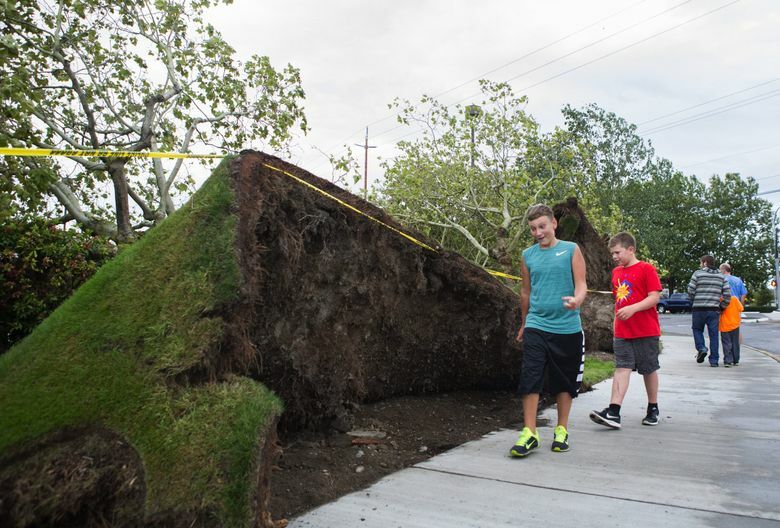 State troopers and WSDOT stayed in touch and helped each other keep tabs on roads and other infrastructure through the storm, according to Phipps. 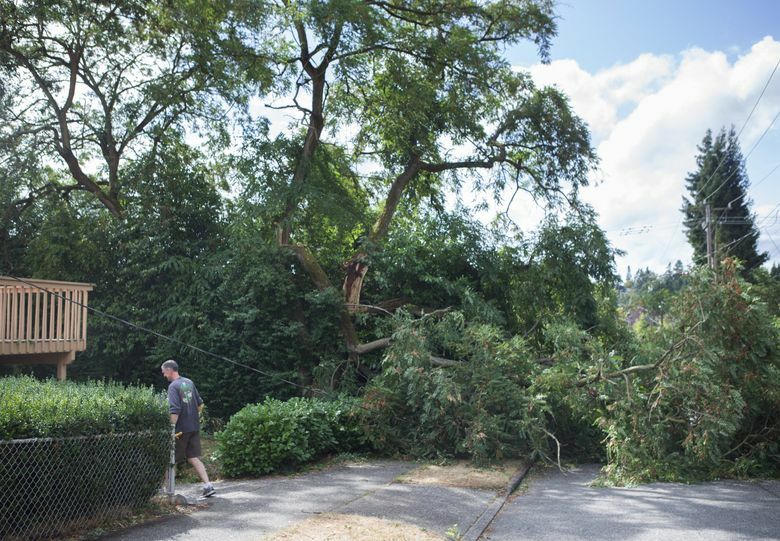 Puget Sound Energy says it will take time to turn all the lights back on with the tangle of trees and downed wires that left 230,000 of its customers without power at the storm’s height. The Snohomish County Public Utility District at one point reported more than 175,000 customers without service Saturday. 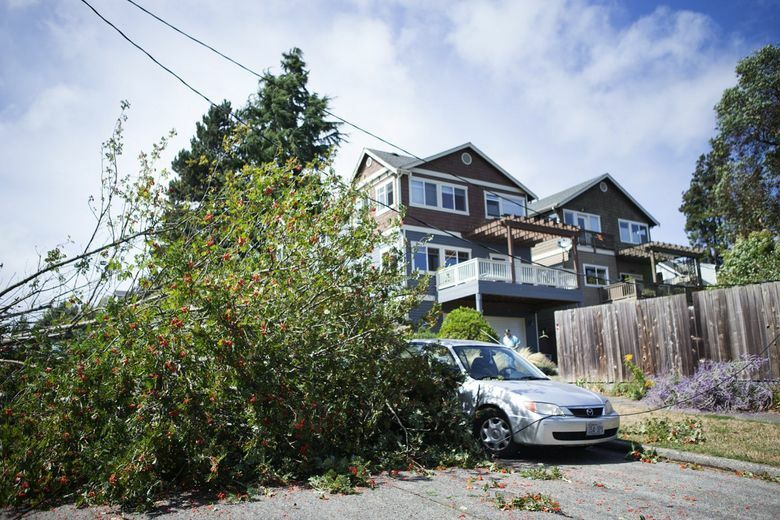 Seattle City Light recorded 58,000 people without power, with many of the outages in the Lake Forest Park, Magnolia and Shoreline areas. The Seattle Public Library’s Central Library and Broadview branch closed Saturday afternoon after losing power, while the Woodland Park Zoo closed around 1:30 p.m. because of concerns for safety amid the wind. The University of Washington’s Seattle campus reported a campuswide power outage shortly before noon. Power was restored to most of the campus by 1 p.m. 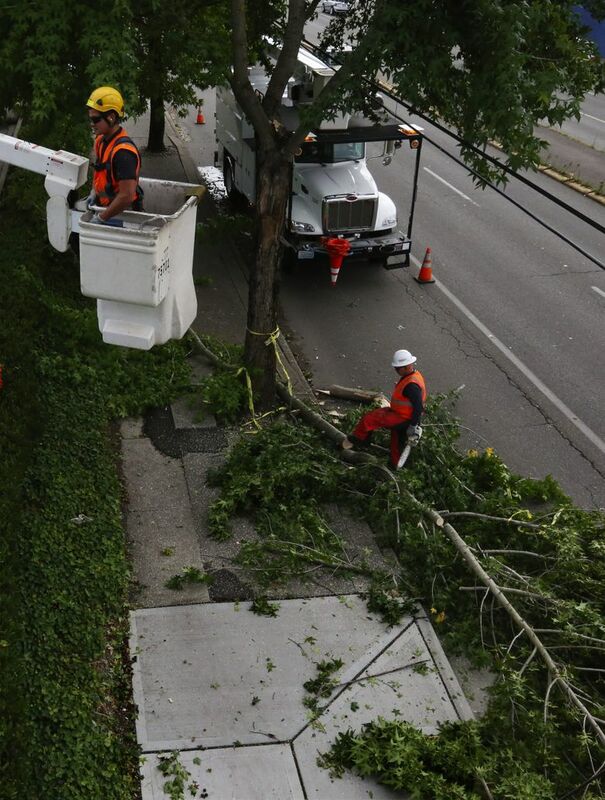 The outage was caused by a tree limb falling onto a primary feeder line, according to UW. Cable customers were reporting widespread outages, too, leaving many unhappy. Seattle Seahawks fans who wanted to watch the 5 p.m. exhibition game against the Chargers in San Diego scrambled to reach friends with homes that still had cable. News researcher Miyoko Wolf contributed to this report. Paige Cornwell: 206-464-2530 or pcornwell@seattletimes.com. On Twitter @pgcornwell. 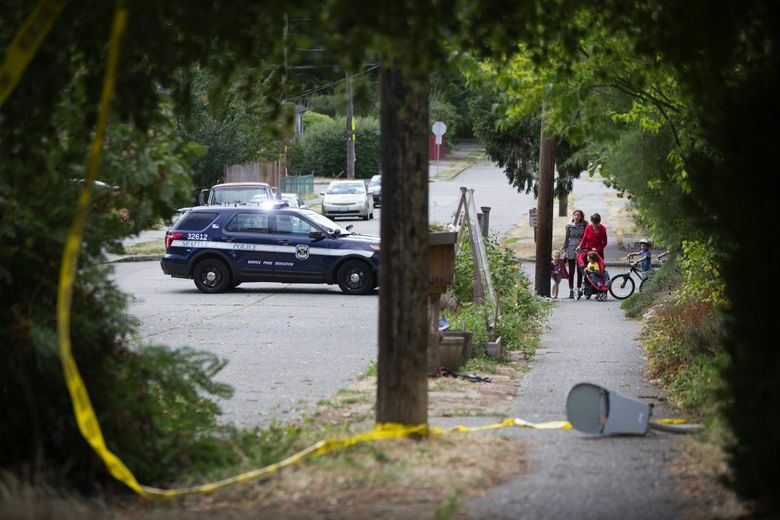 Seattle Times reporter John Higgins contributed to this report.